Maurya Kerr's company tinypistol might not exist were it not for dance festivals. In 2011, the former Alonzo King LINES Ballet dancer was asked to be part of the West Wave Dance Festival in San Francisco. Her group made such an impression that they were invited back later that year, and eventually, the festival presented a full evening of her work. Dance festivals are a smart way for green choreographers to jumpstart their careers. They can provide opportunities to get professional feedback on your dancemaking, network with other choreographers and expose your work to local presenters. But with an overwhelming number of options and plenty of talented competition, it can be challenging to decide which festivals are best for you—and to turn them into something bigger. Many choreographers dream of putting up their own show or being commissioned, but most are missing the visibility and money they need to get there. Festivals bring your work to new presenters and audiences, while taking on the brunt of production costs (though rehearsal expenses are usually up to the choreographer). "It's a great place to start because you're sharing a program and you're getting the infrastructure covered," says Kerr, whose dancers have performed at the Black Choreographers Festival, Aspen Fringe Festival and San Francisco International Arts Festival, among others. "Plus, there is some artistic safety, not having to carry a whole evening." Adam Barruch showing work at DANCE NOW. Deciding which festivals to apply to can be difficult. A good way to narrow down the field, according to Kerr, is to look at your finances and decide what is feasible. Since you may be responsible for paying for your own transportation and lodging, sticking to a close radius may be wise. 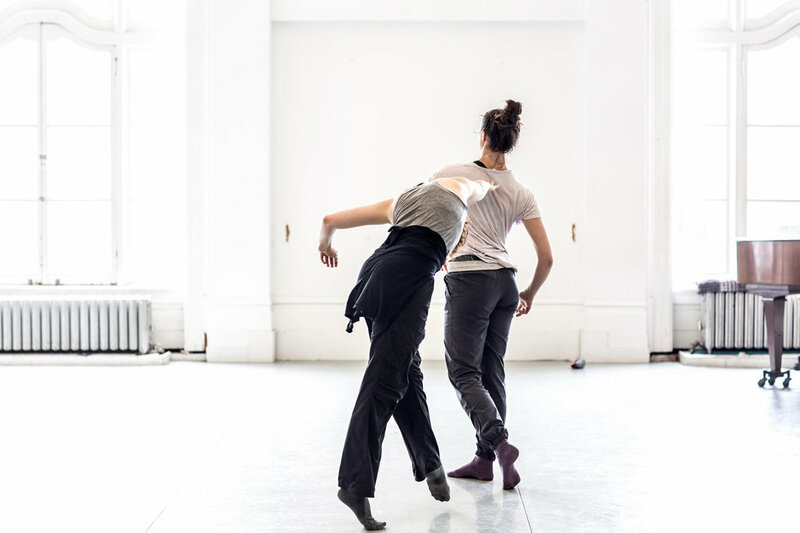 If you're unfamiliar with a festival, see if its mission aligns with your work, says Robin Staff, executive artistic director and producer of DANCE NOW, which hosts festivals in New York City for choreographers of all levels. Check out the festival's alumni: Are they respected dancemakers? Were they on a similar scale as you when they showed work? Have they grown since then? Finally, think about what you need from the festival, whether it be professional feedback or high-quality photos and videos. Festivals offer plenty of perks, however formal or informal. DANCE NOW's Raw series facilitates a talkback at the end of the day. Jacob's Pillow Inside/Out participants have access to its extensive archives and complimentary tickets to main-stage performances when available. Keep your sights set on bigger opportunities. Staff says she has often invited promising DANCE NOW Raw choreographers, such as Loni Landon, MADBOOTS DANCE and Adam Barruch, back for a residency or performance in their main-stage series. Try to make face time after the showing, and follow up with a thank-you email. "Let us know when you're performing or have created new work," says Staff. You never know where an experience could lead. Many festivals limit performers' stage time to as little as 10 minutes. "If you have to excerpt something, make sure it has validity out of context," says Kerr. Show it to fresh eyes and see if it makes sense. Think about what will work within the festival's mission, production constraints and audience. "Jacob's Pillow Inside/Out is free, and the audience is full of children and people new to dance," says Pillow company manager Ariana Brawley. "Remember that it's outdoors—a beautiful view, with birds chirping. Darker works that need theatrical lighting tend to be missing something in that space." On the other hand, full costumes and makeup at an intimate studio showing will look out of place.